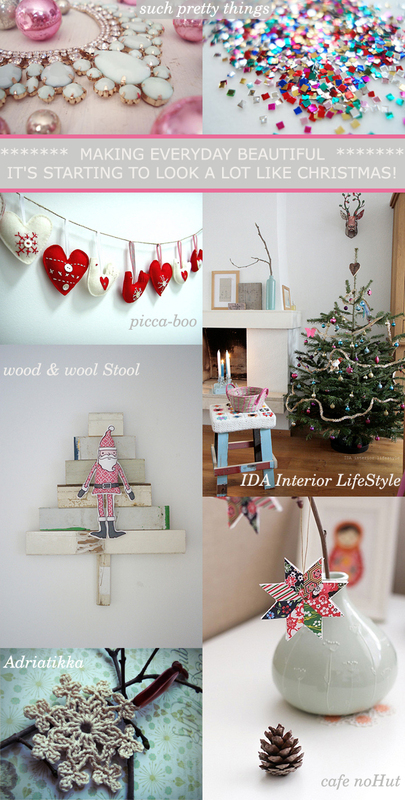 emma lamb: making everyday beautiful : it's starting to look a lot like christmas! making everyday beautiful : it's starting to look a lot like christmas! GORGEOUS GORGEOUS!!! Gah, so I fell ill again (as you may have gathered from my silence, but getting spoonful out and haven't forgotten you logo dear girl. I've designed two, now want to put it on the website. Thank you my dear Miss Thea! Goodness me again!? You poor thing, I hope you're on the mend now? Just lovin' that picca boo string of beauties! Oh such beautiful sparkly things, I feel christmassy too now! :-) Pretty indeed!